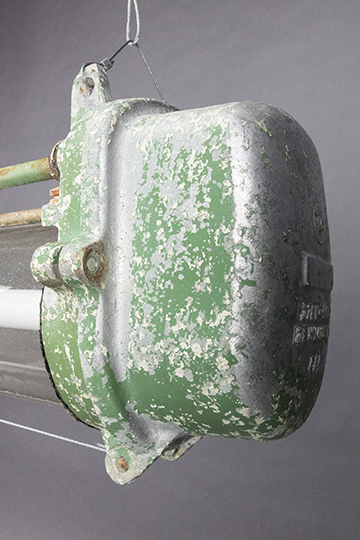 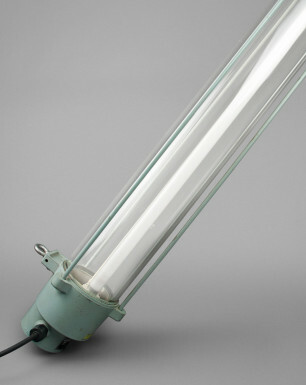 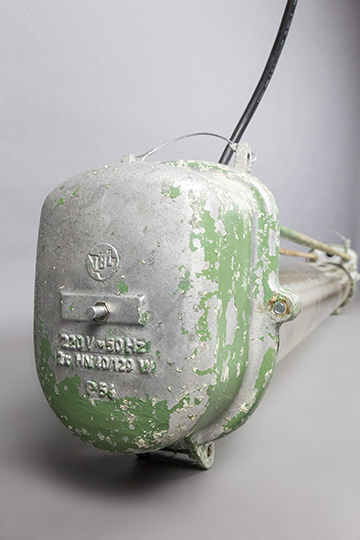 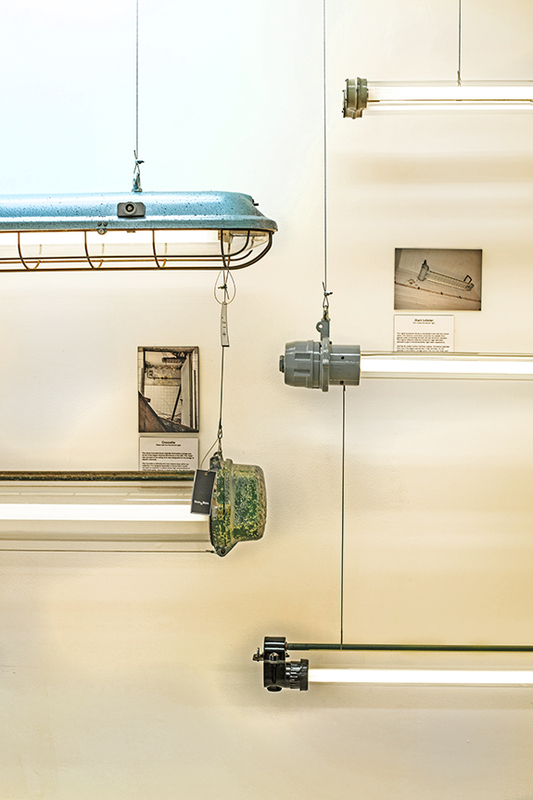 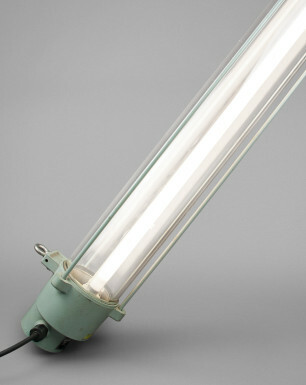 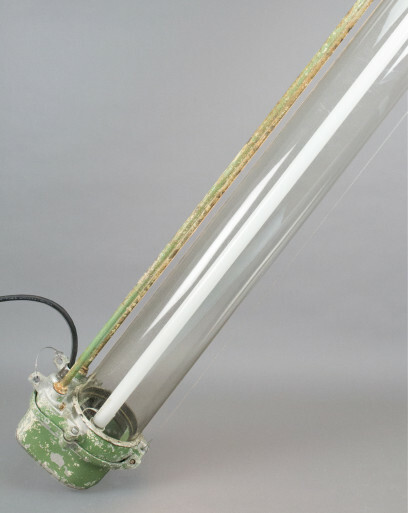 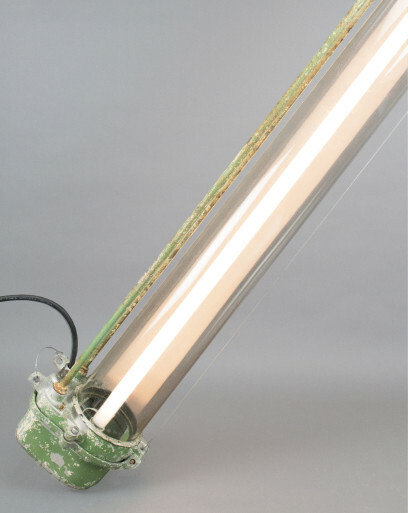 The Green Elk was produced by the East German lighting manufacturer VEB Leuchtenbau Leipzig (LBL), that worked closely with the Bauhaus University in Dessau, and strongly influenced their designs. 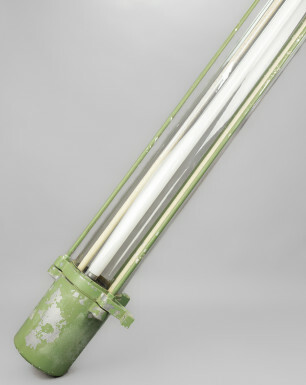 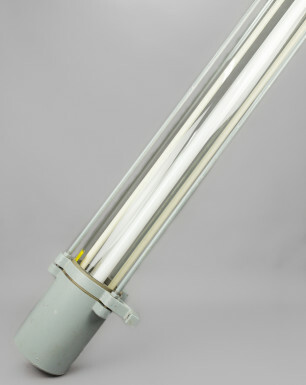 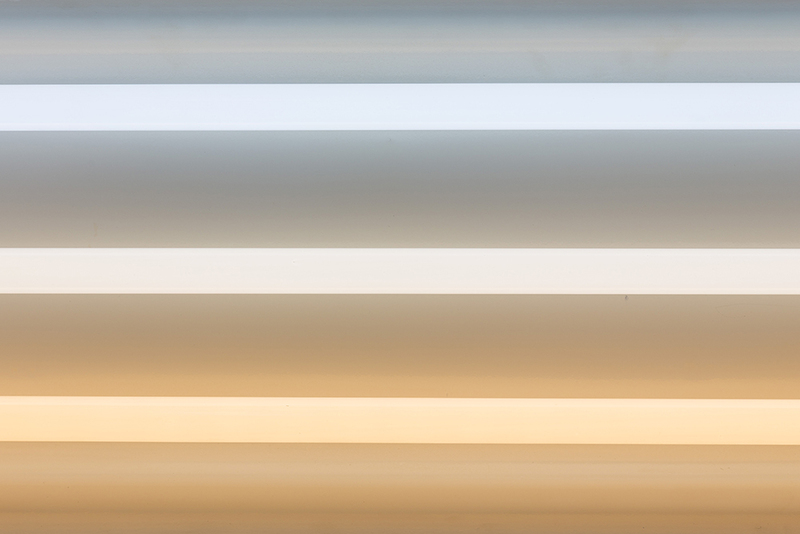 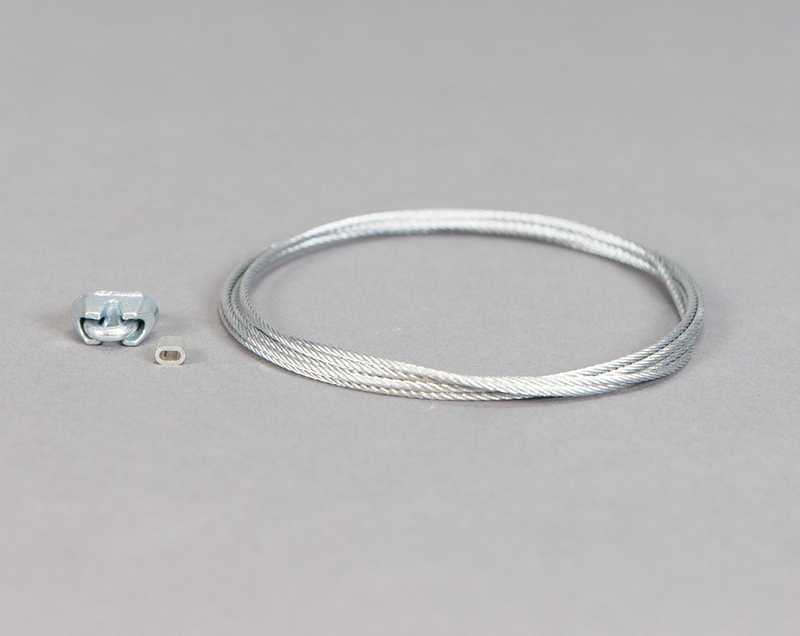 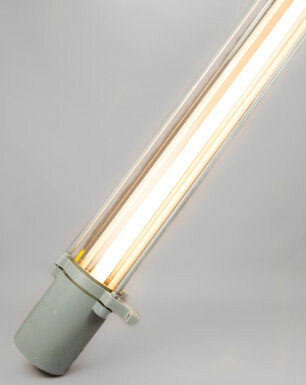 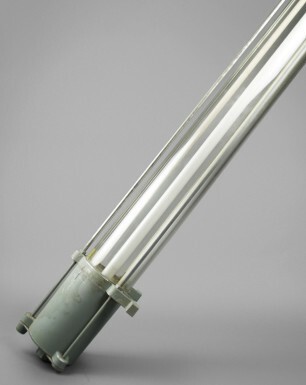 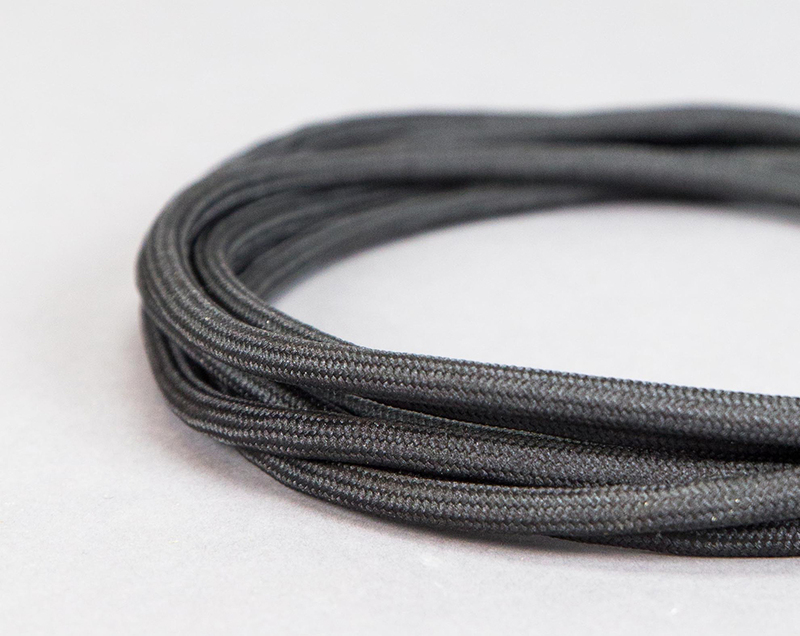 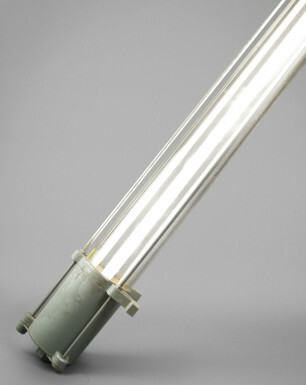 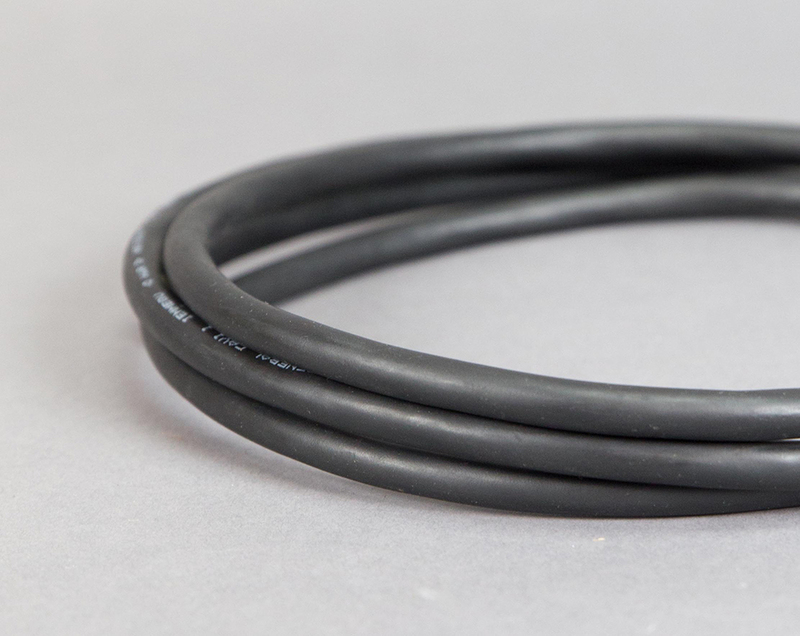 The rare pendant fixture is constructed of a heavy-glassed tube, and two steel rods connecting the solid cast-aluminum end-pieces. 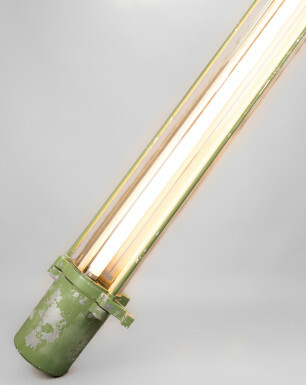 The Green Elk was found in a former brewery on the outskirts of Chemnitz in former East Germany. 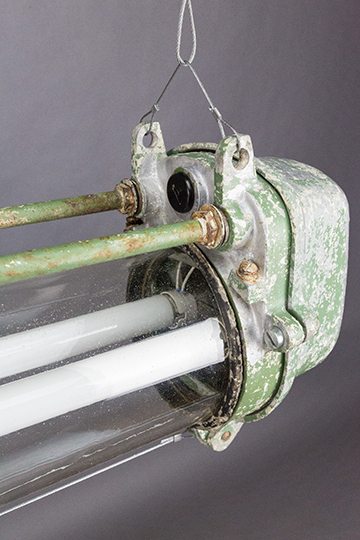 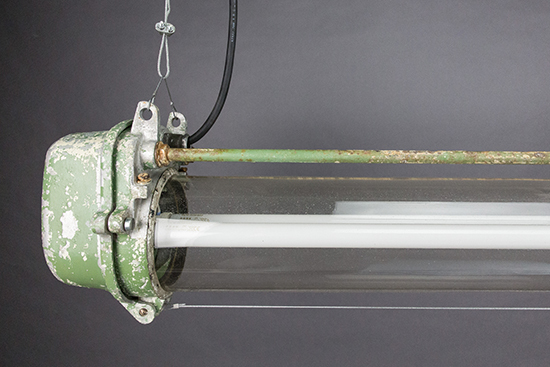 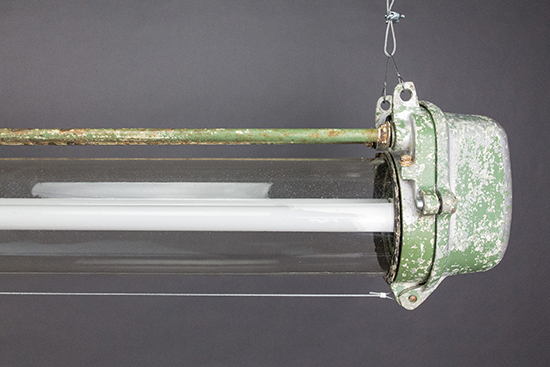 As it has been hanging in a humid basement for several decades, its paint is beautifully corroded and also the glass tube shows some ‘signs of wear’.